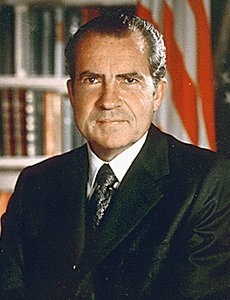 Click on this text to hear audio-tape of Nixon: "The Jews are Born Spies"
to Obama in his second term. investigating suspected communists and their activities. prior to World War I.
of communism that capitalists equate with abject blasphemy! arts, the publishing industry, and elsewhere. Biberman (members of the so called “Hollywood Ten”). contemporary actor Sean Penn’s father, Leo Penn. only two non-Jews. Every other one was a Jew. generally speaking, you can’t trust the bastards. them there are? They’re just in it up to their necks.